I have made this recipe last week on a sunny afternoon, as I would have rather spend it in the garden I wanted something delicious and easy to make so I decided that this was the perfect one. 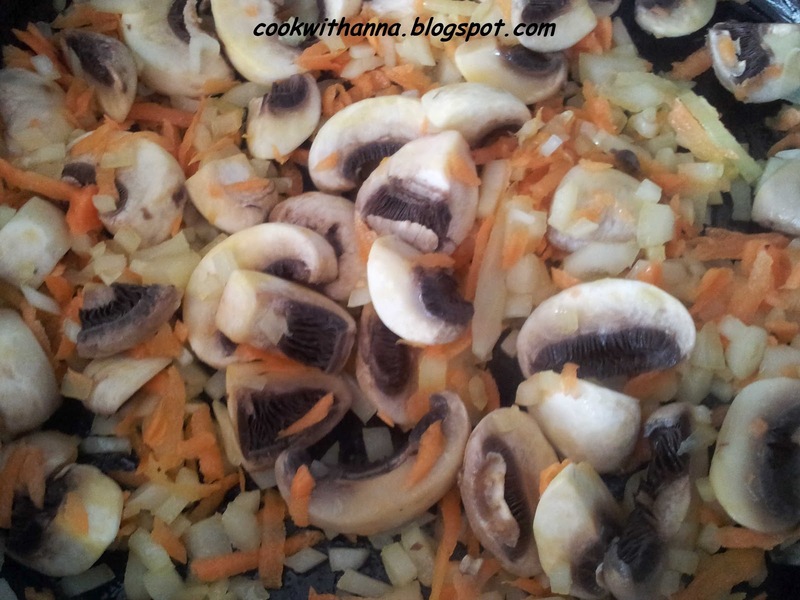 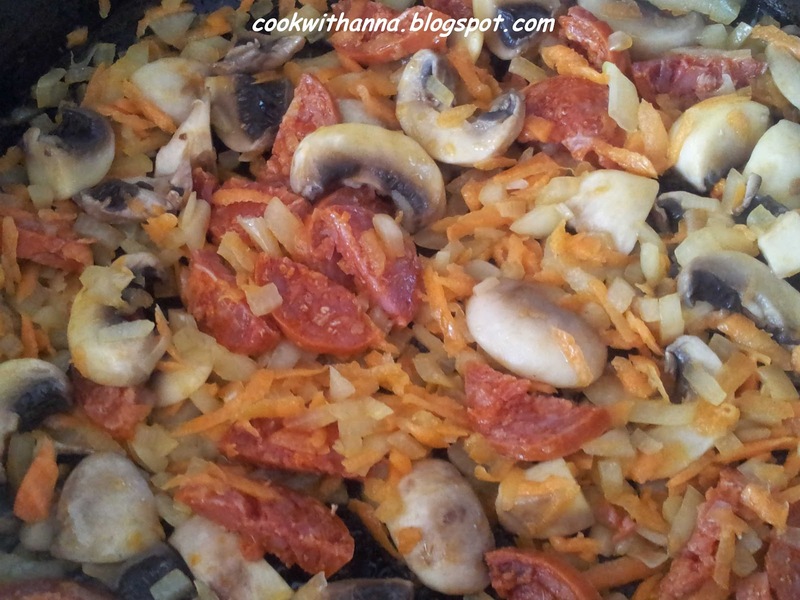 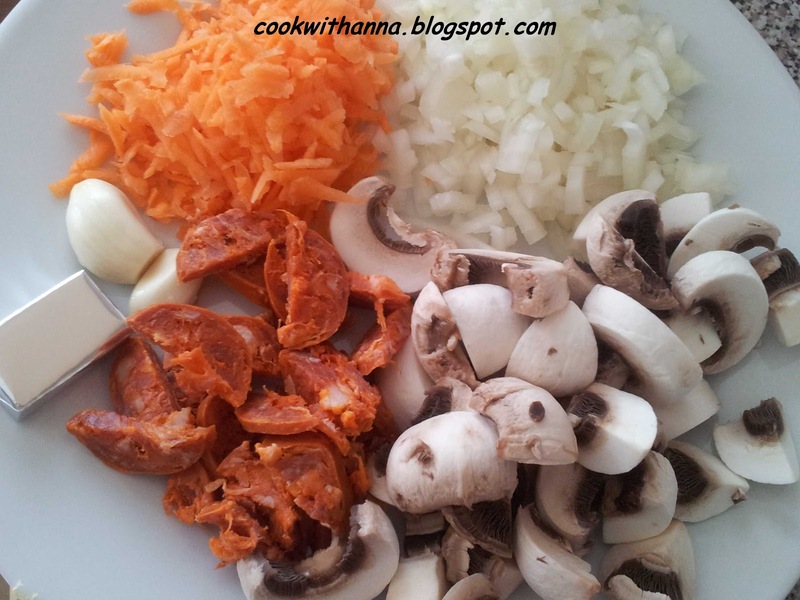 Slice the chorizo and cut the slices in half then fry them in a pan with a bit of oil for about 2-3 minutes, Then add the chopped onion, grated carrot and the cut mushrooms. 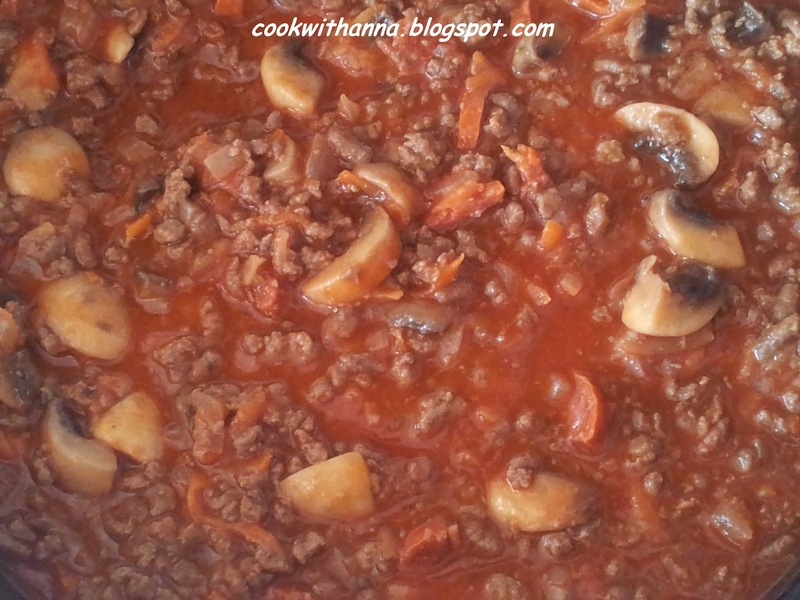 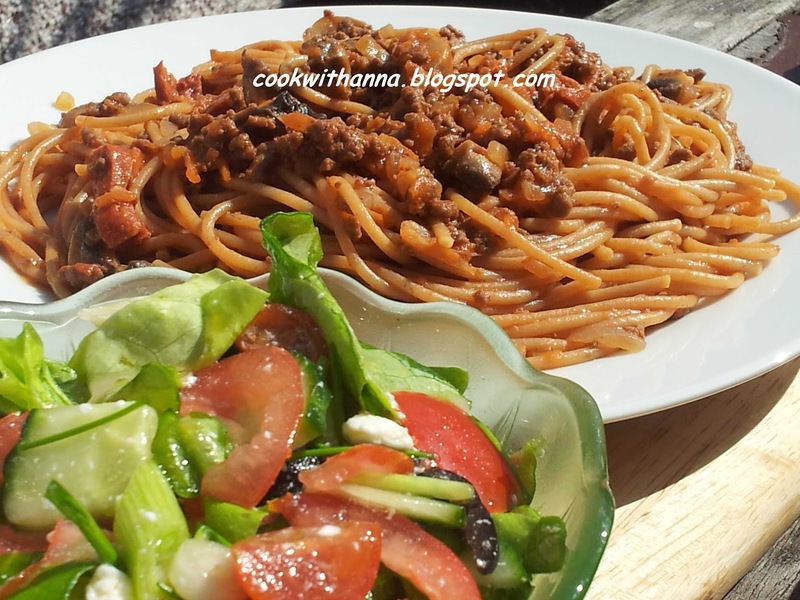 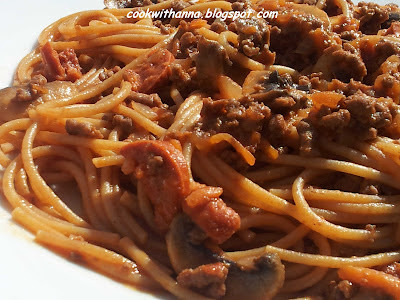 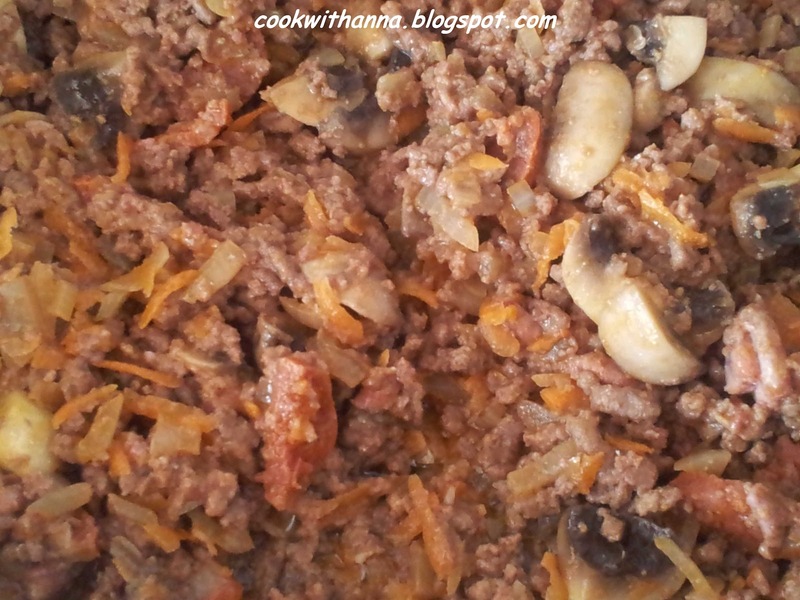 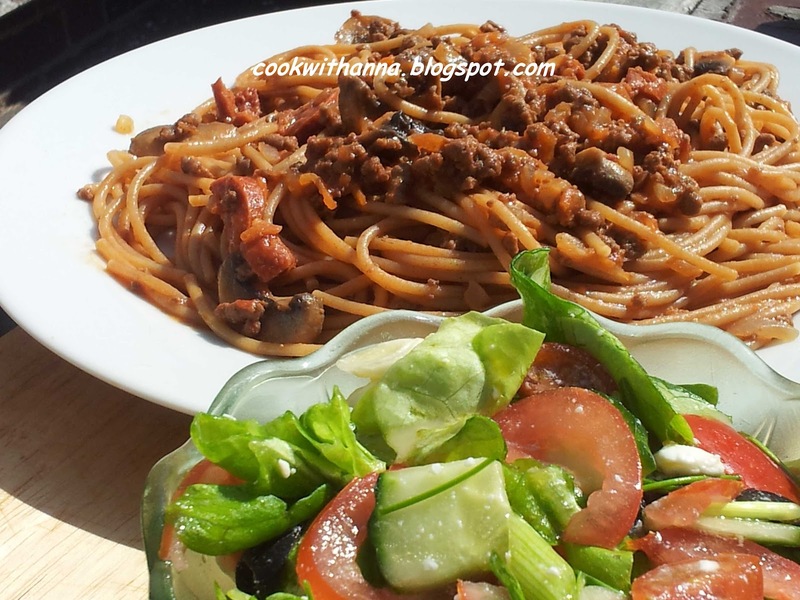 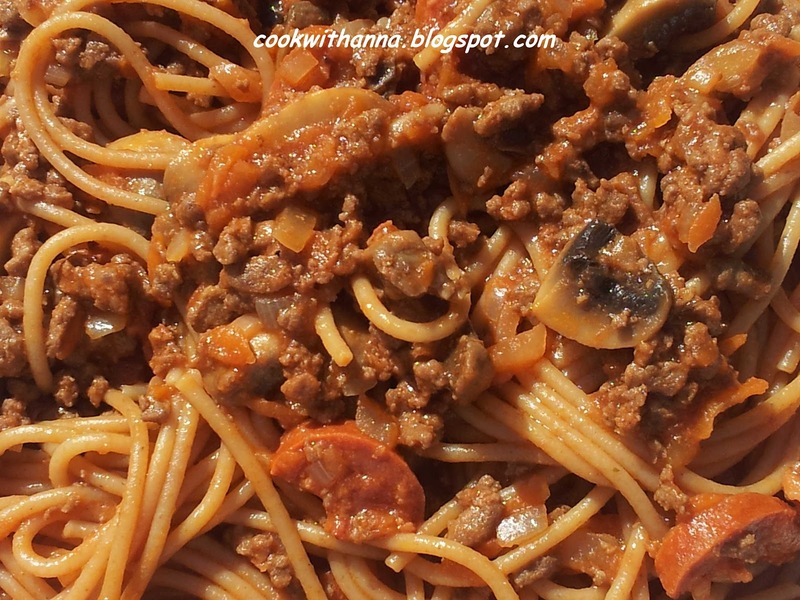 When the vegetables are soft add the mince meat and mix everything together. 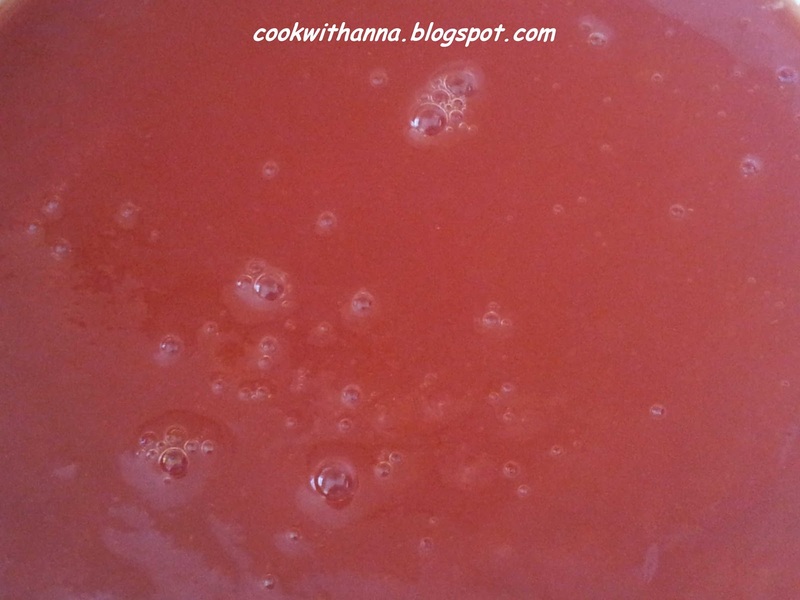 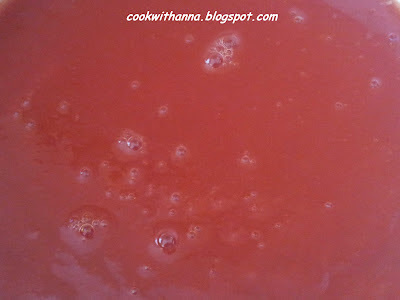 Sieve the tomatoes to eliminate all the hard bits and seeds add it to the pan with the stock cube and a pinch of salt and pepper. Crush the garlic cloves with a knife and put them into the sauce, cover the pan and let it simmer for another 10 minutes. 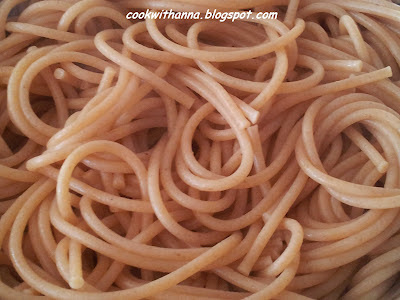 In the meantime boil the pasta according to the instruction on the back of the packet, drain the water when they are done and mix in with the sauce just before you take it off the heat. 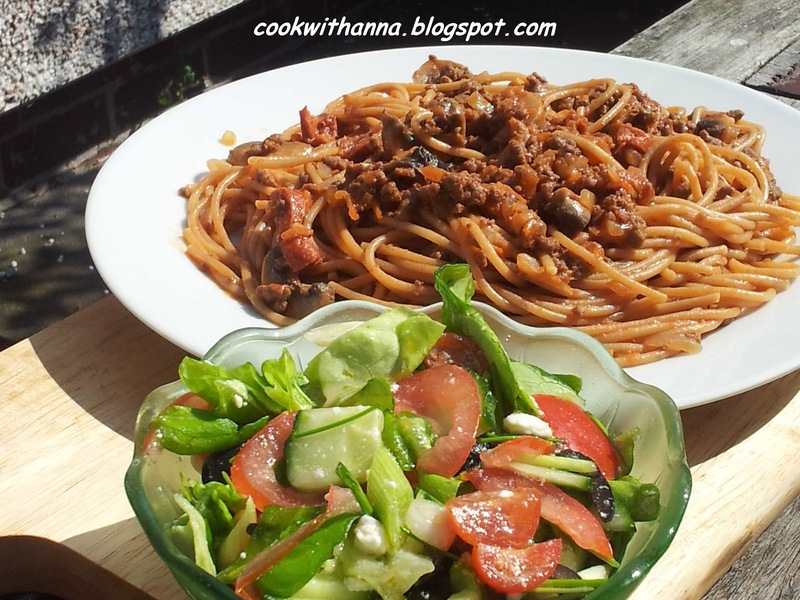 I served with a salad made with tomatoes, a few lettuce leaves cucumber, sliced olives, a slices of crumbled feta cheese and a squeeze of lemon.